Description: Dis is Twig's contwibution to da 8th birfday party! It is a vewwy VEWWY silly hat, an' Twig says no one should buy it. Unless you want to be vewwy silly. Sewiously. Don't buy dis thing. 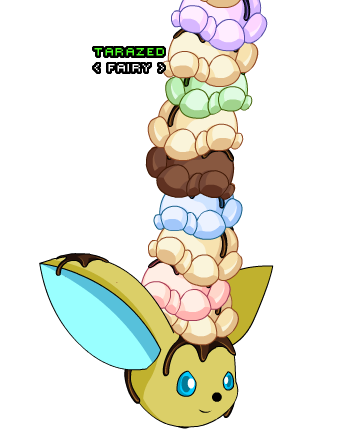 Note: Also see Ultra Ice Cweam Surprise! Hat.